Toni is the newest member to the Bathtime Buddies friends. 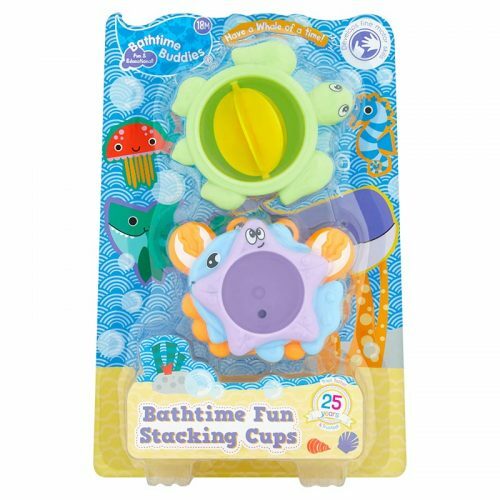 She will ensure you have a whale of time in the tub with our character Cups! Learn about colours, counting and shapes. Scoop and pour the water over the turtles back to make the wheel spin. Stack them up to make a tower!